What you believe is something each of us needs to have as our starting point. From there you will grow and learn of the next step in what you need to do. The direction you take and the path you follow depends on so many things, but it all should boil down where the spirit mind decides you should go. Where you are on your journey to enlightenment is where your past lives have gotten you, to this point. The next step on that journey is relative to what you need to learn or become in order to go from where you are to where you need to go next. This of course is not a physical journey, but a journey of the true mind and spirit. There is a promise that each of us needs to make to ourselves and that is to search for the answers that will make us whole, make us one with THE ALL. Look within yourself and always be aware of the inner voice, for it is in this voice that we come to know the truth. This will lead us to the love of truth that will take us to our awakening and beyond, And, yes there is more even after you realize your enlightenment again, there is more. Finding truth is just the beginning and when you do you will find that oneness will completely change how you view what and who you are. In oneness you will perceive the world in a completely different way. Your beliefs will fall away as the ego disappears from existence. Up to that point the ego has been the center that your identity revolved around, but the ego will no longer exist. You will have a new center that your true self revolves around causing disorientation at first. This disorientation is temporary as you become adjusted to the reality of your true self. This is the natural state you should have been in all along and not the state of illusion created by the ego. Ego is the true altered state of consciousness. Our future is in the making and nothing has been decided as the future has not been written. This world is evolving and the information we’re given is going to continue as more and more find enlightenment. We know what we know now because of the information previously given and with new information we’ll continue to grow. Where we are now is for good reason, but the reality of it all is that this physical plane that we now consider to be the reality is a manifestation of the egoic state. The very definition of reality is the existence that is absolute, self-sufficient, or objective, and not subject to human decisions or conventions, the state or quality of having existence or substance. “Substance” means: “that which underlies all outward manifestations; the essence; the essential reality; the thing in itself,” etc. “Substantial” means: “actually existing; being the essential element; being real,” etc. “Reality” means: “the state of being real; true, enduring; valid; fixed; permanent; actual,” etc. THE ALL must be ALL that REALLY IS. There can be nothing existing outside of THE ALL, else THE ALL would not be THE ALL. THE ALL must be INFINITE, for is nothing else to define, confine, bound, limit or restrict THE ALL It must be Infinite in Time, or ETERNAL,–it must have always continuously existed, for there is nothing else to have ever created it, and something can never evolve from nothing, and if it had ever “not been,” even for a moment, it would not “be” now,–it must continuously exist forever, for there is nothing to destroy it, and it can never “not-be,” even for a moment, because something can never become nothing. It must be Infinite in Space–it must be Everywhere, for there is no place outside of THE ALL–it cannot be otherwise than continuous in Space, without break, cessation, separation, or interruption, for there is nothing to break, separate, or interrupt its continuity, and nothing with which to “fill in the gaps.” It must be Infinite in Power, or Absolute, for there is nothing to limit, restrict, restrain, confine, disturb or condition it–it is subject to no other Power, for there is no other Power. THE ALL must be IMMUTABLE, or not subject to change in its real nature, for there is nothing to work changes upon it; nothing into which it could change, nor from which it could have changed. It cannot be added to nor subtracted from; increased nor diminished; nor become greater or lesser in any respect whatsoever. It must have always been, and must always remain, just what it is now–THE ALL–there has never been, is not now, and never will be, any-thing else into which it can change. THE ALL being Infinite, Absolute, Eternal and Unchangeable it must follow that anything finite, changeable, fleeting, and conditioned cannot be THE ALL. And as there is Nothing outside of THE ALL, in Reality, then any and all such finite things must be as Nothing in Reality. Now do not become befogged, nor frightened–we are not trying to lead you into the Christian Science field under cover of Hermetic Philosophy. There is a Reconciliation of this apparently contradictory state of affairs. Be patient, we will reach it in time. Our ego believes this body and mind are our true self and yet they are not. Our true self is that part of us that goes on after this body has died. The essence inside of us is one with THE ALL. It has no end and no beginning and therefor is never changing. It is as it has always been. Why then is there the universe and separate false reality, this facade? There are many different beliefs, the first being that it is the true reality, but we’ve already discussed why it is believed not to be so. Another is that there is an evolution that needs to take place, but this can’t be so because THE ALL is never changing and evolution is change. So let’s take it in another direction. Your true self is housed in a body that has a mind with which it can think to perform tasks that it needs to survive. 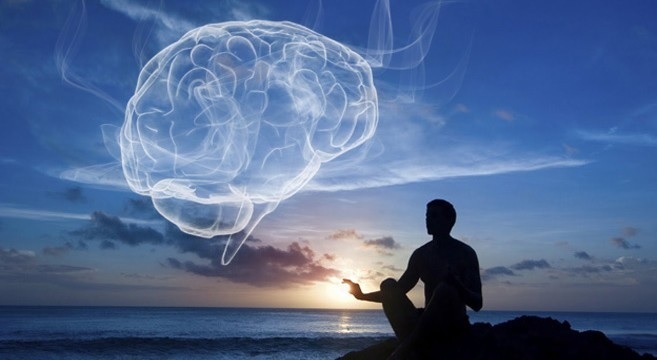 Also this mind gathers information from the senses and experiences, but somewhere along the line it created the beliefs that it makes decisions about what to do and who the self is or ego. As we begin to see that this reality is not reality we begin to understand what and how we live is not reality either. The physical creature comforts we desire are not necessary for us to know happiness. The life we live is totally dependent of the wants and desires of the egoic mind. The ego that created the beliefs of your false reality are what have shaped and molded it, just as we are shaped and molded by them. The beliefs are based on false information and can therefor only be false. But let’s look at the ego. It believes that it is the true self, the only self and it has certain presupposed definitions of what it wants and needs to be happy. Then it goes about creating a roller coaster of highs and lows to completely mix up the situation. Duality is in full force with the ego and its cause and effect selections. On autopilot it creates the situations to maintain an off-balance situation for most of us. To combat the ego, we should dismiss it entirely. It is what creates all the bad things in our life by creating both the negative and positive aspects of life. The ego is all about the physical self and yet it doesn’t want there to be any complacency. The bottom line is the ego is holding you back from your true potential. The ego wants there to be competition and it wants you to have ambition. These things only create the personification of all the things that is wrong in this physical reality. They give us greed, envy and every other negative emotion and response including hate and fear. They breed doubt and in the end create the roller coaster we want to depart. When the ego is nullified the results are an uncaring attitude for the self and all that remains is a deep and satisfying caring for everything. This is when you can learn to love unconditionally and that is when you will find the true meaning of life. The true self is a caring, giving and wonderful being that is more concerned with the good of all things. While it is in this state everything is however not wonderful. There are conditions in the world such as natural disasters, deaths of loved ones, accidents and unenlightened people. There is also still the matter of making your way by doing something to earn a living. Those that are enlightened learn to share and be part of the greater good of mankind, nature and the universe. Somewhere in all this you will awaken to all that is good and right with the world and it will reflect in how you are perceived by others. Not only will you find acceptance as you are viewed, doors will open for you that were previously closed. Things will begin to happen that you wanted to be, just as things will start to appear in your life to help you fulfill your desires, but they will not come on your terms. If you truly have forsaken the ego you will actually have no terms. That which you express and think will become the nature of unselfishness. No more will you have thoughts of beating someone at any game or competing for the job and yet by ridding yourself of these desires you will more readily attain them. I know it sounds like it’s backward, but it is the reality of the way things are. People who have found this have found the true pathway to living their dreams, of having all that they need to be happy, healthy and wealthy. They are at peace with every aspect of life as they are at peace with everything and everyone. They harbor no ill feelings for the evil that goes on, they seek no revenge for the wrongs done by others and because of this their world receives none of these unwanted and negative things. They simply don’t exist. There comes a point when you come full circle and connect with that part of you that is one with THE ALL. It is in this enlightened state that we awaken into the oneness where nothing else exists. There is no longer the need for the ego and its control fades completely from your life. As you bask in the glow of this immersion you come to know that THE ALL is everything and nothing. It is every place and no place at the same time. It is all time and no time. It merely is and each part is just like another because there are no parts. There are no lines of separation, no delineation and no barriers. You simply exist in THE ALL and there you find peace and contentment, harmony and tranquility, like you’re living inside joy itself. In this state, you become aware of the rhythm of THE ALL as you flow with the beat and breathe with its breathing. Complete and utter satisfaction are found and so there is no need to seek any farther for the completeness you’ve been searching for and there is unconditional love filling your heart. The ego loses control over your physical being and your oneness self. It no longer wants to compete it wants to create instead. It no longer has ambitions which only bring your vibrations down as that makes you greedy and envious instead of supportive and loving. You lose the need to beat someone at something you only want to give and in the giving you become stronger and more worthy of the oneness that surrounds you. Break from the spell the ego has you under, as it only wants to separate you from THE ALL. It has its own self-centered agenda seeking its petty wants and needs. Needs that will keep you on this roller coaster of duality that constantly bombards you with its highs and lows. With all that being said it is impossible to accurately put the experience of awakening and describing THE ALL into words. Words simply do not express the situation fully. 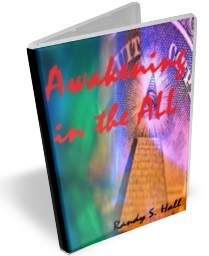 The only way to know what it is to awaken, but words are all I have to convey the message I wish to impart.